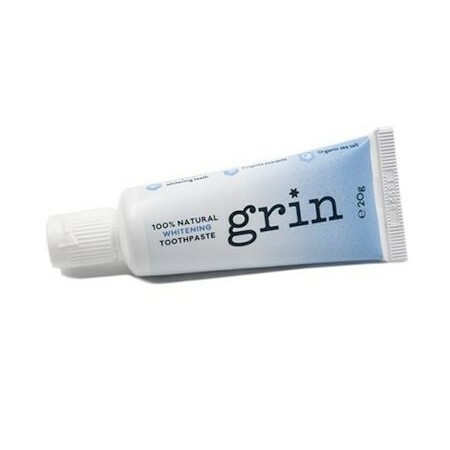 A minty flavoured travel-sized toothpaste that uses all natural ingredients. Made in New Zealand, using locally sourced ingredients, including three key active ingredients of baking soda, propolis and organic sea salt. 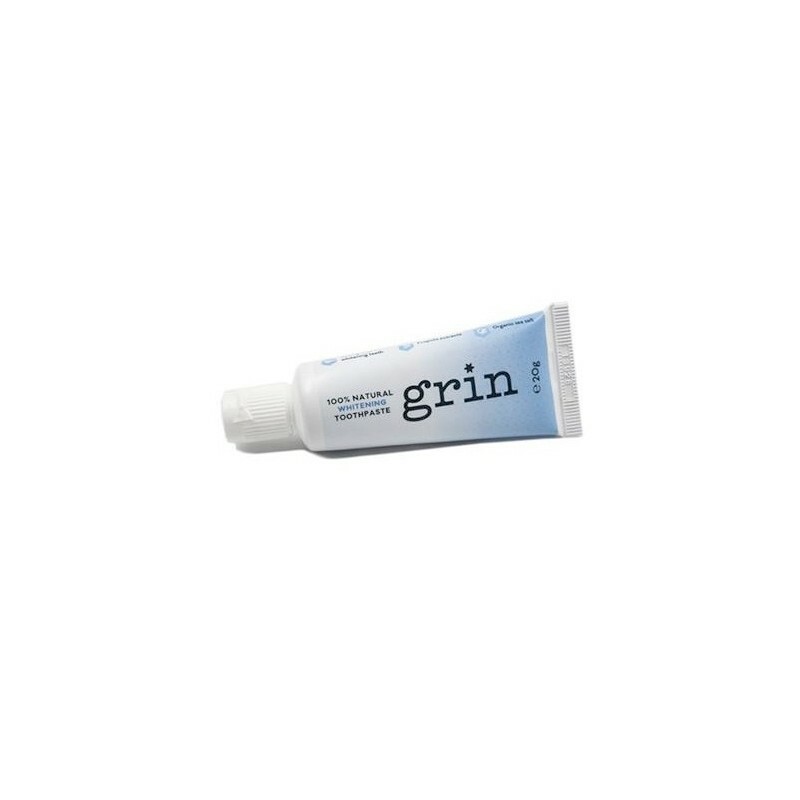 This special blend works to restore the natural whiteness of teeth by gently removing stains whilst keeping bacteria in check. 20g. Fresh and squeaky clean teeth. Propolis tincture is a natural anti-bacterial agent that is made by bees from plant resins, beeswax and enzymes. Baking Soda helps to neutralise harmful plaque acids and polish teeth. Natural sweetness from peppermint, spearmint and fennel essential oils to provide a gentle flavour. Calcium Carbonate, Glycerine, Aqua, Xylitol, Potassium Olivoyl Hydrolyzed Wheat Protein, Menthol, Sodium Bicarbonate (baking soda), Chondus Crispus (Carrageenan) Powder, Mentha Crispus (Spearmint) Leaf Oil, Foeniculum Vulgare Dulce (Fennel) Extract, Mentha Piperita (Peppermint Oil), Aniseed Oil China Star, Xanthan Gum, Organic NZ Fine Sea Salt, Propolis Tincture. Allergen warning: Propolis may cause severe allergic reactions. If irritation or swelling of the mouth or throat occurs, discontinue use and consult a health care practitioner. The best thing about this toothpaste is what it doesn't have in it - no fluroide, no palm oil, no parabens, no sugar and, most important to me, no SLS. SLS can cause skin irritation and mouth ulcers. I used to get these every once in awhile and they sure hurt. Since changing to an SLS-free toothpaste, I no longer suffer with these nasties. Each to their own but I hated the taste if this toothpaste. The size is great however. I purchased the small size to see whether I would like it before buying the big one. It was great and has a pleasant taste.